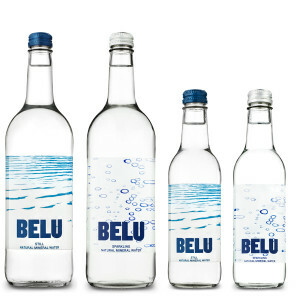 Made from 30% recycled Ethical Glass – the lightest weight glass bottle available for mineral water in the UK, bottled at Belu source in Powys. 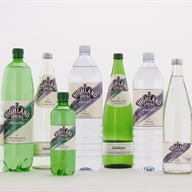 Still and sparkling water available in cases of 24 x 330ml and 12 x 750ml. Our still mineral water bottles are bottled at source in Cambridgeshire and are made from 50% recycled content (the highest in the UK), meaning a 31% reduction in carbon emissions. Also – our sparkling mineral water bottles contain 50% recycled content and are bottled at source in Shropshire. Still water with screw or sports caps in cases of 24 x 500ml. 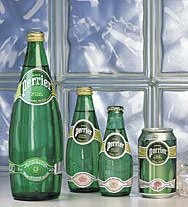 Sparkling water in cases of 24 x 500ml. We are an award-winning ethical business and leading social enterprise that produces great tasting British natural mineral water, sold in all the best places. We take every possible step to minimise our environmental impact in everything that we do. We make the best environmental decisions across all aspects of our business – from the way we run our head office, to our distribution model and the materials we use. Belu’s way of doing business is not just driven by cost, but by the impact we have on our planet. We are the exclusive bottled water partner of WaterAid and we give them all of our profits. We have pledged to give them £1m by 2020, transforming the lives of over 66,000 people. 1789: During a walk, the Marquis of Lessert drank water from the Sainte Catherine spring on the land of a Mr. Cachat. The marquis, who was allegedly suffering from kidney and liver problems. He drank the water regularly while he walked, and claimed that his health improved. Encouraged by Lessert's advocacy of the 'miraculous' water, local doctors began to prescribe it as a health remedy. In response to the growing success of the water, Mr Cachat fenced off his spring and began selling the water. At the heart of every bottle of Highland Spring is a story that dates back 400 million years. This is when the ancient red sandstone and basalt layers of the Ochil Hills were formed – the same hills that today are the home of Highland Spring and account for its unique, natural taste. Every drop of rain that falls on our protected hillside makes a 15-year journey though the landscape, trickling slowly down through the heather and deep into the rock bed on its way to the source of Highland Spring. Acqua Panna® Natural Spring Water, which dates back to the Romans, became part of the Nestlé Waters North America family of brands in 1999. Acqua Panna® Natural Spring Water, Italy’s most famous spring water, comes from the region of Tuscany and is the ideal still water for dining. The town of San Pellegrino in the mountains north of Milan was first made famous by quenching the thirst of Leonardo da Vinci. Today the Fonte Termale, an opulent marbled drinking hall, is a monument to the tradition of "taking the waters" . S.Pellegrino's sources are three deep springs which emerge at 69.8 degrees F. The waters come from an aquifer 1,300 feet below the surface, where limestone and volcanic rocks impart unique minerals and trace elements. A Highly concentrated water with 15 mineral salts and trace elements, to soothe the skin and reinforce the skin’s natural protective function. Recognized by the French Academy of Medicine for its soothing properties, it is an essential complement to any skin care regimen. Starting life at London's top hotels in 1989, Ty Nant rapidly gained recognition as a premium product and today it can be ordered in many of the world's leading hotels, clubs and fine restaurants - simply ask for Ty Nant. 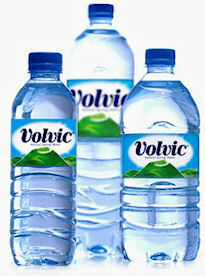 Volvic is a brand of mineral water. Its source lies just to the north of the Puyde Dôme. The water's distinctive mineral content is due to the nearby volcano which last erupted in 5760 BC. The first of the springs in the area was tapped in 1922, and the first bottles appeared on the market in 1938. Today, Volvic waters are internationally known. Over 50% of the production of Volvic water is exported to more than 60 countries throughout the world. Two bottling plants produce over 1 billion bottles of water annually and are the principal employers of the local community. Please Note : all the above prices are net of VAT .